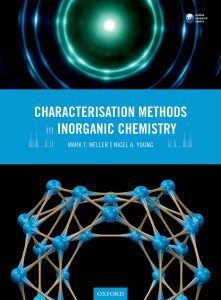 AUTHOR : Weller, Mark T.
Characterisation Methods in Inorganic Chemistry provides a fresh alternative to the existing theoretical and descriptive inorganic chemistry texts by adopting a techniques-based approach and providing problem-solving opportunities to show how analytical methods are used to help us characterise inorganic compounds. The text covers the full range of analytical techniques employed by inorganic chemists, emphasizing those in most frequent use: NMR, diffraction, UV-Vis spectroscopy, and IR. The additional coverage on other techniques allows readers to study these less widely used methods when relevant to their specific course material. Each chapter follows a clear, structured format, which begins with a brief introduction to the technique and basic theory behind it before moving on to data collection and analysis, typical data and interpretation, with numerous worked examples, self- tests and problems. Extensive problem-solving opportunities encourage students to engage in active learning to master the subject. Clear demarcations between introductory and advanced content allow flexible use throughout the undergraduate curriculum.